Mr. Zlatev has completed a number of trainings and has obtained qualifications in political communication, media relations, journalism training, international PR, European Union communications, election campaigning, and media development. He currently works as Managing Director of the Media Development Center in Bulgaria. 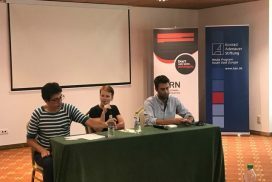 The organisation was established in 1998 to promote the development of independent media in Bulgaria, to foster media capacity building and to boost networking and cross-border cooperation in Southeast Europe. 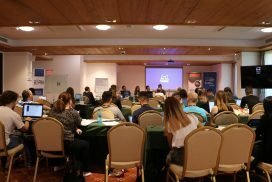 He is a founding member and board member of the South East European Network for Professionalization of the Media (SEENPM), which currently includes fifteen media centers and institutes from Albania, Bosnia and Herzegovina, Bulgaria, Croatia, Hungary, Macedonia, Moldova, Montenegro, Romania, Serbia, and Slovenia. From 2002 to 2004 he was the president of the organization. Ognian Zlatev also works as an external communications and public outreach consultant for the World Bank Office in Bulgaria and as a media expert for the Organization for Security and Co-operation in Europe (OSCE) and UNESCO. 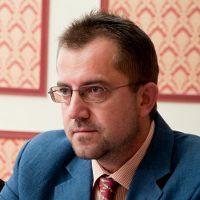 He has been a lecturer at the Diplomatic Institute of the Ministry of Foreign Affairs of the Republic of Bulgaria, the Albanian Media Institute in Tirana and Media Plan Institute in Sarajevo, as well as a speaker at numerous international conferences in Southeast Europe, the Caucasus, and Central Asia. 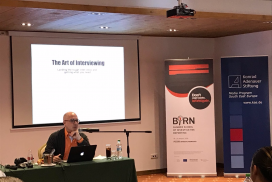 He has worked as director of Information Centres for the Open Society Institute in Sofia, manager of the BBC Centre in Bulgaria and an exchange officer at the British Council office in Bulgaria. Ognian Zlatev is a board member of the National Council for Journalism Ethics of Bulgaria. He sits on the steering committee of the Global Forum for Media Development and on the Board of SEENPM. He is a member of the selection committee of the annual Robert Schumann Award of the European Commission Representation in Bulgaria and of the Dr. Erhard Busek SEEMO Award for Better Understanding.